Make Us Your First Call for Fresh Meat and Save And Profit Today! 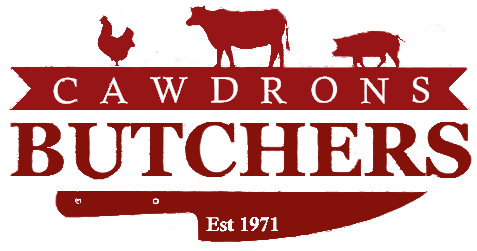 When you shop with R.A Cawdron’s loyalty card you get much more! Collect 6 stamps and claim £5 worth of meats! 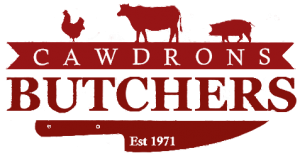 Make Us Your Daily Fresh Meat Specialist – All Meats Sourced Locally And Stored In Open Air Refrigeration! A Wide Selection Of Luxury Sauces And Cuts for Mouth Watering Meals! Terms and conditions apply, enquire in store or call us today! Get your card stamped by one of our staff. After 6 £12.50 stamps receive our special offer that is displayed on our poster in the shop at Cawdrons in Stalham or as stated by staff. Please note: This card will be stamped once for each purchase valued in excess of £12.50 spent with Cawdrons Butchers. Not to be used with special offers. Only one card can be redeemed at any one time. We cannot be held responsible for any loss of cards. We reserve the right to withdraw the loyalty scheme at any time. Card not transferable for cash nor will change be given. Offer is for fresh meat and cooked meat only. It excludes any hot take-away produce. The card cannot be used severally with other cards. Partially completed cards cannot be tendered or bargained for any purchases. These Terms and Conditions are not exhaustive and Cawdrons Butchers reserve the right to refuse redemption of the card should where they suspect these Terms and Conditions have not been complied with.